Goat farming in New Zealand has a lower profile compared to dairy, sheep and beef systems. The goat industry is small in New Zealand (Stafford & Prosser, 2016) and there has been limited consideration of the potential for the industry to expand (Shepard & O’Donnell, 1979). The environmental and commodity market constraints currently impacting pastoral systems in New Zealand provide an opportunity for the goat industry to have a greater economic contribution to New Zealand’s agricultural production. In New Zealand, goats are farmed for milk, meat and fibre production and also act as a mechanism for controlling excess pasture growth, enhancing clover in mixed pasture and controlling weeds (Batten, 2014). 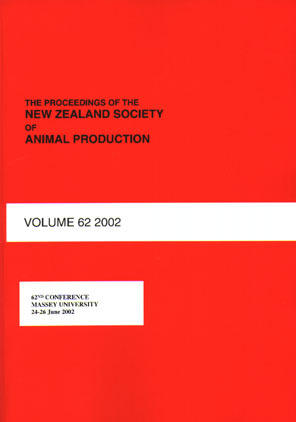 The aim of this paper was to present an overview of the goat industry to provide background knowledge for consideration when deciding the direction of the goat industries in New Zealand. As part of the overview, farmers, processors and industry bodies were contacted to obtain an estimate of the number and location of goats farmed in New Zealand. Although some of the sources of information for the goat industry are not perfect, this research is an attempt to bring together information that has not been consolidated in nearly 40 years (Shepard & O’Donnell, 1979) and was achieved as part of a three-part study with companion papers being produced (Lopez-Lozano et al. 2017; Smith et al. 2017). Information from this study were used in conjunction with the value of the goat industry (Lopez-Lozano et al. 2017) to project the potential of the New Zealand goat industry (Smith et al. 2017). MR Scholtens, RMC Smith, -Lozano, SR Lopez, N Lopez-Villalobos, D Burt, L Harper, M Tuohy, DG Thomas, AJ Carr, DI Gray, et al.